Wolf Fantasy Pakkawood Folding Knife | BUDK.com - Knives & Swords At The Lowest Prices! You'll love the look and feel of this folder! This unique folding knife measures 8" overall when open, and features a 3.5" black stainless steel clipped point blade. 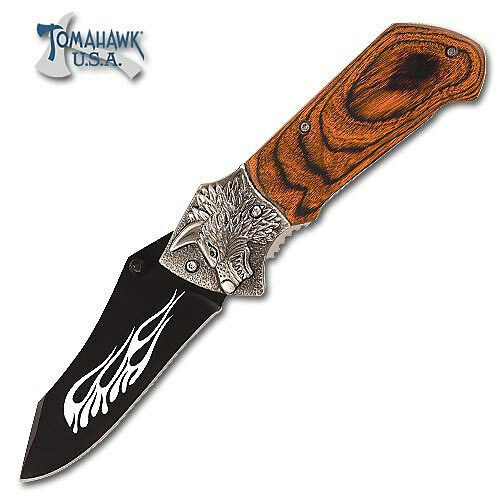 The Pakkawood handle offers a sturdy grip and features an embossed wolf head on the cast aluminum bolster. Super look...great functionality....awesome knife! Tomahawk, XL1238.